How Can You Deck Yourself Out in the Latest Ski Apparel? Where can you find all the latest and greatest ski apparel so you can tear up the slopes in style? Whether you need ski socks or a neck gaiter, you’ll find every piece of equipment you need at Stan and Dan Sports. Proper gear is vital for all skiers, regardless of age and skill level. Find the equipment that’ll give you the most protection at North Conway’s leading ski shop. 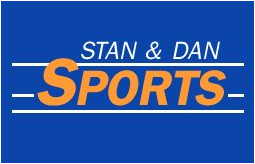 The old saying “If you choose a job you love, you’ll never have to work a day in your life” has never been truer than when it's applied to Stan and Dan Sports. The journey began one fateful day in 1973 when Stan and Dan met at Carroll Reed—a popular ski shop that used to exist in North Conway. Eventually the two amassed a following, with many customers asking the friends when they were going to open up a shop themselves. Those loyal customers got their wish in 1987 when Stan and Dan Sports opened in a nearby location, which was formerly a post office and in the same parking lot as the old Carroll Reed ski shop. Backed by two loyal customers in the beginning, Stan and Dan Sports is still going strong and has now become a community icon. If you want to be part of a bigger ski community, come to Stan and Dan Sports in North Conway, NH. As Mount Washington Valley’s premier supplier of skis and equipment, we carry everything you need to take your skiing experience to the next level. Because the idea behind Stan and Dan Sports originated in a large ski shop, we have the expertise to know what brands and equipment you’re looking for. 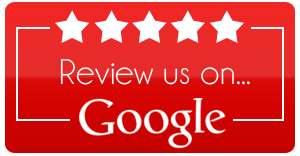 Not only do we carry a large selection of equipment, Stan and Dan Sports is also where you’ll find the best boot fitters in the industry, the largest rental and demo fleet in the North Conway area, bike sales and rentals, and tennis. Whether you’re a beginner or a pro, you’ll find the equipment you need to have a great day on the slopes at Stan and Dan Sports.